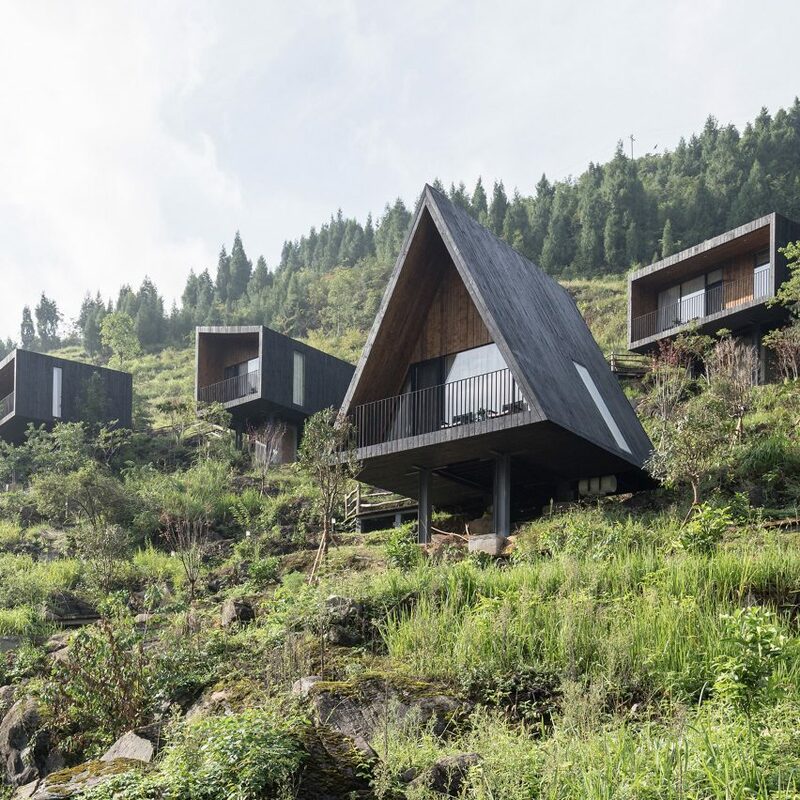 The Woodhouse Hotel, located in the remote village of Tuanjie in China‘s Guizhou Provence, is formed of 10 wooden cabins dotted amongst a forest on a mountain. A mixture of these different forms are scattered over the site on stilts, with their locations determined based on the most appealing views while minimising disruption to rock formations and trees. Each cabin is clad all over with charred timber, chosen for its weather resistance and ability to blend into the surrounding forest. 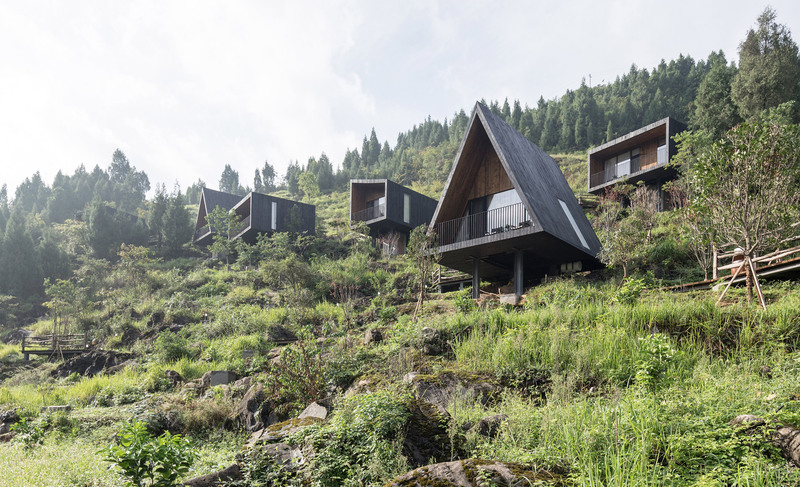 ZJJZ Atelier, which was founded in 2013, designed The Woodhouse Hotel as part of a government scheme to help alleviate rural poverty through the introduction of agricultural tourism. “Unlike other rural areas, the village of Tuanjie has little traditional architecture to hold on to. Instead, the striking landscapes and pollution-free farmlands are the village’s greatest assets,” explained the architecture studio. 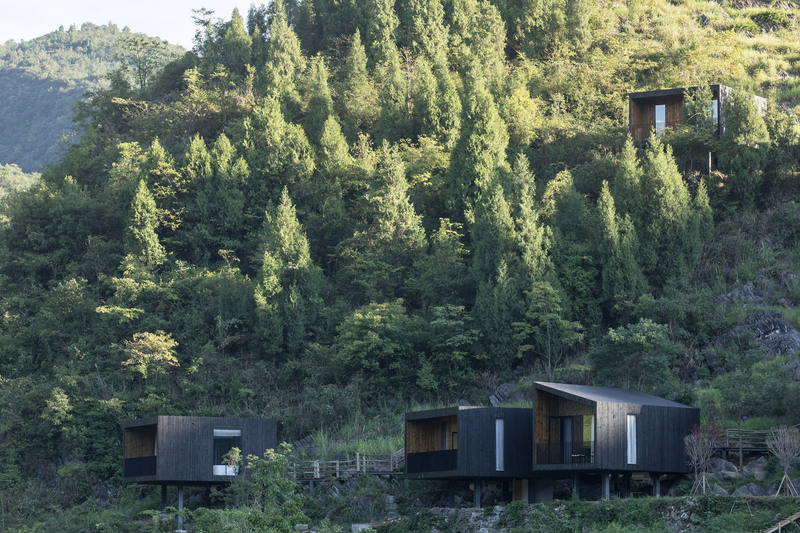 Each of these cabins serves as a single hotel room, with a bathroom and a covered terrace space. 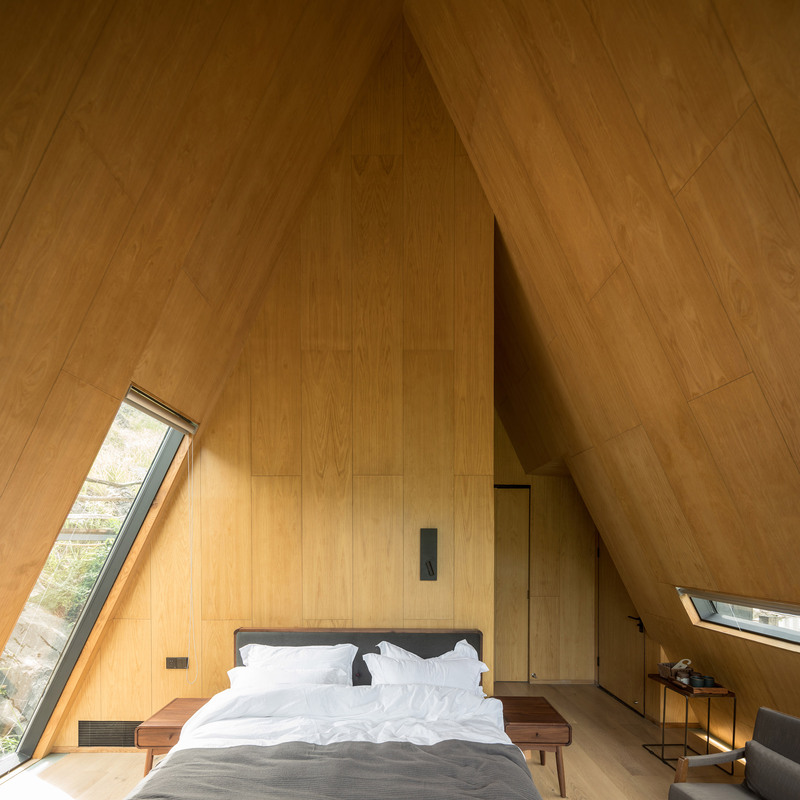 Simple fittings and wooden finishes have been used to make the rooms feel as spacious as possible, while keeping their volume to a minimum so as not to have too much presence in the environment. Windows are located uniquely in each structure to make the most of specific views, ranging from thin slit-like windows to skylights and large full-height openings. As materials had to be transported up a mountain the structures were kept simple, with each house constructed using a wooden structure atop a raised steel platform. 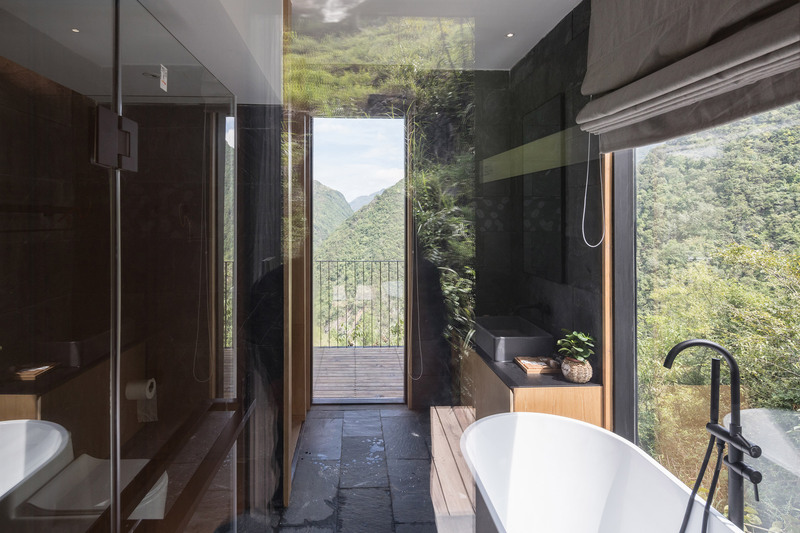 More architecturally unique hotels recently unveiled in China include a 300-year old merchant’s inn that was converted into a boutique hotel by Anyscale Architecture Design Studio, and a disused sugar mill that was turned into a resort by Vector Architects. 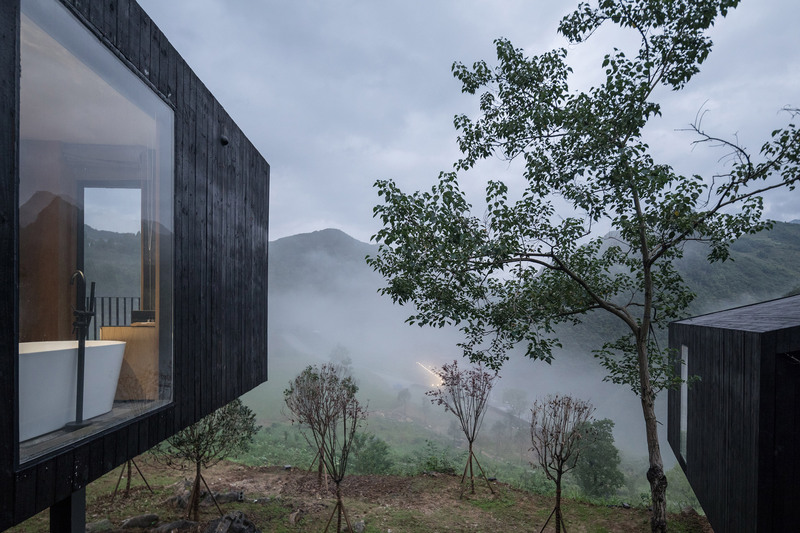 The post ZJJZ Atelier scatters 10 cabins across mountain in rural China appeared first on Dezeen.